Good afternoon, Tiger Nation! Tiger Basketball takes on Eastern tonight in a game that will decide who will play the winner of Trinity and Ballard next Tuesday night in the 7th Region Championship. Eastern won the first game at St. X 69-64. Tonight’s game will tip off at 7:30 at Valley High School. Before Rajon Rondo played at UK and won a title with the Boston Celtics, he attended Eastern High School up through his junior year. He transferred to Oak Hill Academy for his senior season. Rondo averaged 27.9 points, 10.0 rebounds and 7.5 assists in his junior season at Eastern. Rondo has been on tear lately for the Sacramento Kings and has had 6 triple doubles this season (the 2nd most in the league). Last year: 17-10 Record. Lost to Manual in the first round of the 7th Region tournament. The Tiger Basketball team opens up the 7th Region Tournament Tuesday night vs. Waggener in a rematch from last year’s opening round. Waggener defeated the Tigers in overtime 91-89 at St. X in a thriller. Get ready for the game by getting to know Waggener a little better. Paul Long – Long was drafted with the second pick in the fifth round of the 1967 NBA Draft by the Detroit Pistons. Long also played for the Kentucky Colonels during his four year career. Similar Opponents: St. X and Waggener played 10 similar teams with St. X going 8-4 in those game and Waggener going 8-7. Tiger Nation, it’s postseason time for Tiger Basketball! After both teams advanced on Tuesday, St. X will take on Male in the 26th District Championship on Thursday. St. X and Male will both be in the Region 7 Tournament next week no matter the result on Thursday night, but let’s get to know the Bulldogs a little better. Michael Bush – well known throughout the country, Bush is a former standout Male Bulldog and Louisville Cardinal. Bush was selected in the fourth round of the 2007 NFL Draft by the Oakland Raiders. Darrell Griffith – The former UofL basketball star won a National Championship with the Cards in 1980 before moving on to be selected by the Utah Jazz in the NBA Draft. Similar Opponents: St. X and Male played 10 teams this year the other had played. Male’s record is 9-3 in those games while St. X’s record is 8-5. Good afternoon, Tiger Nation! School is back after almost a week off because of snow, and it’s time to get back in the swing of things around here. That includes getting ready for Tiger Basketball’s home game vs. Eastern tomorrow night. Let’s get to know the Eastern High School Eagles. Last Game: Lost to Trinity 45-59 in the quarterfinals of the L.I.T. Good afternoon, Tiger Nation! There will be plenty of action on tap this week including Tiger Soccer’s game vs. Floyd Central Tuesday night, but we want to prepare you for the big game on Friday. We are talking about the showdown in Lexington between Tiger Football and Henry Clay at 6:15 PM. This is a huge game for a number of reasons, but we will get to that later. For now, get to know the Henry Clay Blue Devils. Collin Cowgill is a member of the Los Angeles Angels baseball organization where he is currently hurt, but has played a bunch for the Angels. Cowgill was drafted in 2008 in the 5th Round by the Arizona Diamondbacks after playing his college ball at the University of Kentucky. John Shelby once dawned the Blue and Gold for Henry Clay, but now is an assistant coach for the Milwaukee Brewers after an illustrious proffessional career in the big leagues. Last year: 7-3 Record. Lost to Meade County in the First Round of the KHSAA 6A State Tournament. Last Game: Lost to Trinity in a scrimmage 0-44. For the past couple of years, the Tiger Cross Country has had one main competitor for the state crown. This year a second team has emerged into state championship competition, and they are Cooper High School. Most of you all know plenty about Trinity and who they are, but most likely you don’t know much about Cooper or anything about them. Here is some information about the school from Northern Kentucky. No notable alumni, as the school has only been open since 2008, so there are not any famous jaguars just yet. Zachary Stewart is their fastest 5K runner in their short school history, and he will graduate in spring. Last year: Placed 3rd in the KHSAA State Cross Country Championship. They scored 161 points, and their top 5 runners placed 12th, 23rd, 28th, 29th and 69th. Last Meeting: At the Great American Festival, Cooper finished 7th with 226 points, and the Tigers finished 8th with 241 points. This Friday, St. X will take on the Archbishop Moeller High in one of the biggest games of the year. The Tigers will take the field on Friday night trying to snap a four game losing streak against the Crusaders. It will be a huge game, and the crowd is expected to be extra rowdy because it’s Patriotic Night. 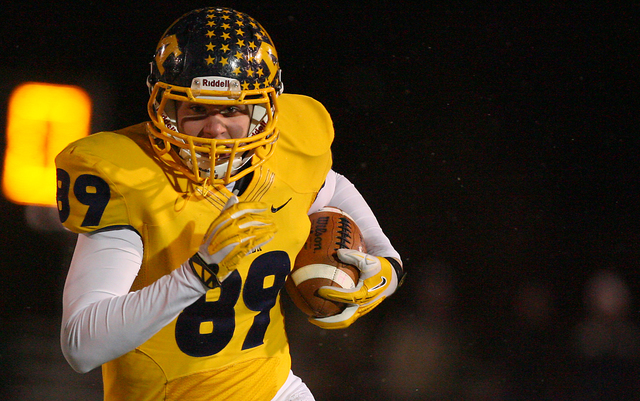 There will be plenty of pregame hype about that later, so now it’s time to get to know the Moeller Crusaders. Ken Griffey Jr. (1983-1987)- Griffey excelled at baseball and football while at Moeller. He received the honors of being the U.S. high school baseball player of the year in 1987 and was also a heavily pursued running back by many top Division I college football programs across the country. The surefire Hall of Famer debuted for the Seattle Mariners in 1989 and last played for the Mariners in 2010. Throughout his illustrious twenty-one year career, Griffey played with the Seattle Mariners (1989-1999), Cincinnati Reds (2000-2008) and Chicago White Sox (2008) before returning to the Seattle from 2009-2010. Griffey will go down as one of the most decorated players ever, as he was a 13x time All-Star, 7x Silver Slugger Award winner, 10x Gold Glove Award winner and the 1997 AL MVP. Barry Larkin (1978-1982)- Larkin starred at Moeller as a football player and standout shortstop on the baseball team. He accepted a football scholarship to the University of Michigan to play under coach Bo Schembechler, but eventually decided to focus solely on baseball. After leading the Wolverines to two College World Series, he made his major league debut with the Cincinnati Reds in 1986. Larkin retired after 18 years in the MLB after becoming a 12x All-Star, 9x Silver Slugger Award winner, 3x Golden Glove Award winner and the 1995 NL MVP. He was inducted to the Hall of Fame in 2012 and won a World Series with the Reds in 1990. Bob Crable (1973-1977)- Crable played linebacker for the Crusaders and led them to three consecutive football state championships and a perfect record of 36–0 over three seasons. After high school, he went on to play for the University of Notre Dame where he was a consensus All-American in 1980 and 1981. In 1982 Crable was selected with the 23rd overall pick in the NFL Draft by the New York Jets. He spent five seasons with the Jets until knee injuries derailed him into retirement. Crable later returned to Moeller in 1992 as a coach and teacher. He spent seven seasons as the head coach of Moeller from 2000-2007. Greg Jones (2003-2007)- Jones was a two-time All-Greater Catholic League and PrepStar All-Midwest Team selection at Moeller and played under coach Bob Crable. Jones was rated as a 3 star recruit after high school and attended Michigan State University on an athletic scholarship. He played for the Spartans from 2007-2010 and was a consensus All-American in 2009 and 2010. Jones also earned the 2009 Big Ten Defensive Player of the Year, becoming the first Spartan to earn the award. He was drafted in the 6th round of the 2011 NFL Draft by the New York Giants. In his first year in the NFL, Jones earned a Super Bowl ring with the Giants as Eli Manning carried the team past the New England Patriots in Super Bowl XLVI. He went on to play for the Jacksonville Jaguars (2012) and Tennessee Titans (2013) before signing with the Toronto Argonauts in March of 2014. John Boehner (1964-1968) – Boehner is currently the 61st Speaker of the United States House of Representatives and US Congressman for the state of Ohio. He played linebacker on the football team while at Moeller. Top players: Jake Hausmann (TE), Doug Bates (TE), Chase Pankey (WR), Elijah Taylor (DT), and Matt Crable (QB). Good evening, Tiger Nation! There will be plenty of action on tap this week, but we want to prepare you for a monumental clash that will take place this Friday night. We are talking about the showdown between Tiger Football and Bowling Green at 8 p.m. on Friday. This is a huge game for a number of reasons, but we will get to that later. For now, get to know the Bowling Green Purples. Nacarius Fant was named 2014 Kentucky Mr. Football, when his Bowling Green team won the 5A State Championship last season. Fant is now a wide receiver for the Western Kentucky Hilltoppers. Former professional wrestler Hillbilly Jim was a member of the World Wrestling Federation from 1984 to 1990. Paul Kilgus was a Major League Baseball pitcher who played for the St. Louis Cardinals, Chicago Cubs, Toronto Blue Jays, Texas Rangers, and the Baltimore Orioles from 1987 to 1993. Jason Frakes covers high school athletics in Kentucky for the Courier-Journal! He does great work and is a household name around the Bluegrass State. Last year: 14-0. Won KHSAA 5A State Championship, defeating Pulaski County 49-14. They have won 46 consecutive games, four shy of Trinity’s state record of 50. Good Morning Tiger Fans! We have an exciting week ahead, but there is a football game this Friday evening at 6:15 PM at Lexington Catholic High School that we would like to get you ready for. We are now in week two of the Tiger Football season and we are off to a great start with a victory over the Ballard Bruins. There is no doubt that after each week, the games get harder and harder. In order to keep the ball rolling in the right direction, you, the fan, need to read up on everything about that team from down I-64. 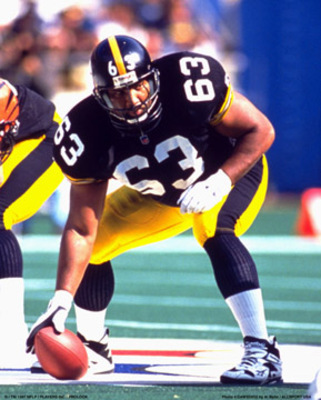 Dermontti Dawson: Former Pittsburgh Steeler and member of the 2012 National Football League Hall of Fame class. Eric Shelton: Cardinal fans, you may remember this former University of Louisville running back that was drafted by the Carolina Panthers in the 2005 NFL Draft. Shelvin Mack: Member of the Butler Bulldogs Final Four teams and current Atlanta Hawk. 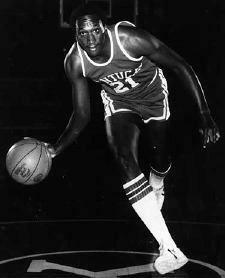 Jack “Goose” Givens: University of Kentucky legendary basketball player. Top players: Marcus Floyd (WR), C.J. Walker (WR), Mikel Horton (OL), Tequan Claitt (WR/FS), Andre Davis (QB/WR/CB), Ke-I Carmichael (WR/LB), K-Ci Carmichael RB/FS), Devon Key (RB/FS), Shane Preston (LB), Quinten Floyd (LB), Brannon Sturgeon (OL), Dermonte Bond (OL), D’Andre Mack (RB), Mahari Sturgis (WR/DB), Jeremy Mason (OL/DL). Last Game: Defeated Harlan County 56-22 in week one. Good Morning Tiger Fans! We have an exciting Tuesday ahead, but there is a preseason scrimmage this Friday evening at 7:30 PM at Br. Thomas More Stadium that we would like to get you ready for. Although it is only a scrimmage and holds no importance whatsoever, it will be the first time we see the Tiger Football team go against another team that isn’t wearing green and gold in full pads so that’s exciting. This is everything you need to know about that team from Northern Kentucky. Location: 11132 Madison Pike Independence, Kentucky. Troy McKinley: Captain of the 1981 state championship basketball team. Trevor Duncan: An Appalachian Trail thru-hiker. Football History: Straight from SKFootball.com, here you go: Simon Kenton High School fielded its first football team in the fall of 1965, this team played a junior varsity schedule. Through the help of parents money was raised to help support the football team and build the football stadium. In 1966, Simon Kenton played its first varsity football season ending the season with a 2-8 record. The first football coach was Jim Jenkins. In 1968 the team finished with a record of 8-2-1. During the 1968 campaign Charlie Siffel set the single season rushing record (which stood until 2000) with 1,555 yards. The 1968 team also set records for the most shutout games, and the fewest points allowed in a season. The 1960′s ended with the team going 5-6 in 1969. The 1970′s: Coaches from this decade include Jim Jenkins, Jerry Abney, Carl Hays, and Bill Gaines. Coach Hays’ teams compiled a record of 29 wins and 37 losses during his six years at the helm. The 1974 and 1977 teams both finished the seasons with records of 7-4. The 1980′s: Coaches from this decade include Carl Fitzer, Jim Dougherty, and Mike Leising. Coach Dougherty’s 1985 team posted a record of 5-6 and Coach Leising’s 1988 team posted a record of 5-5. The 1990′s: Coaches froms this decade include Tim Odom, Chris Willertz, and Roy Lucas, Jr. The 1990′s was an exciting time in Pioneer football history with the 1993 team qualifying for the Class AAA state playoffs for the first time in school history. The 1993 team defeated Boyd County for the first playoff win in school history. The 1993 team posted a record of 8-4. The 1998 team pulled the program out of two winless season by posting a 5-5 record. The 1998 team deafeted Covington Catholic, the defending class AAA state champion. The 2000′s: Coach Jeff Marksberry’s 2000 team posted a record of 6 wins and 4 losses. The 2000 team was the sixth team to post a winning record. The 2001 team became the second team in school history to qualify for the KHSAA Class AAAA state playoffs. In 2005, the Pioneers again qualified for the Class AAAA state playoffs. During this decade there have been many footballrecords broken. Daniel Morrison set the career rushing yards record. Justin Bishop set the career passing yards record. Josh Elbert set the single season passing yards record, the most career touchdown passes record, and the single season touchdown passes record. The 2006 offense also broke the 38 year old most points scored in a season record by scoring 351 points. The 2005, 2006, and 2007 teams became the first teams to post back to back to back winning seasons. The 2007 team also ended Russell HS 34 game home winning streak, defeated the 2006 Class 4A state runner-up Ryle Raiders, and qualified for the KHSAA state playoffs. Nathan Ponzer set several receiving records during the 2006 and 2007 seasons. In 2007 the freshman Pioneers finished with a perfect 10-0 record and won the 2007 NKAC freshman championship. In 2008 the Pioneers won their 2nd playoff game in program history (defeating Lafayette 33-6 in the final game played at Ishmeal Stadium). The Pioneers would eventually be crowned Region 3 champions and Semi-State champions on their way to the 2008 KHSAA Commonwealth Gridiron Bowl State Championship Game. In 2008 and 2009 Miles Simpson rewrote the Pioneer rushing and scoring record book. The 2008 Pioneers set records in most wins in a season (10) and most points scored in a season (403). The 2009 team closed the decade with an 11-2 record (11 wins is most single season wins) and earned the schools’s first ever NKAC conference championship and class 6A district championship. Many records were set including the 616 points scored in 2009. In 2010 the team was lead by a stellar senior class. The 2010 team posted the school record 3rd consecutive 10 win season. The 2010 team was district and regional runner-up. Good Morning Tiger Fans, we have an exciting Tuesday ahead, but there is a very big state semifinal match tomorrow evening at 6:30 PM at the University of Kentucky against the Ashland Blazer Tomcats that we would like to get you ready for. This is everything you need to know about that team from Boyd County. Here’s a nice photograph of the school bus. | Photo from school website. Ashley Judd: Most widely known for being a University of Kentucky Super Fan, Ashley also stars in many television shows and movies. She is starring in Divergent which released in theaters recently. Wynonna Judd: Country singing older half-sister of Ashley, Wynonna is just as popular in the world of country music for her time in the band The Judds. In 1983, the Judds were signed to RCA records and were shot into country music superstardom. The Judds sold over 20 million albums and won five Grammys. Brandon Webb: Retired professional baseball player who pitched in Major League Baseball for the Arizona Diamondbacks from 2003 through 2009. Prior to playing professionally, Webb attended the University of Kentucky, where he played college baseball for the Kentucky Wildcats baseball team. Webb won the 2006 National League Cy Young Award. He is also a three-time MLB All-Star. A series of shoulder injuries sidelined him for much of 2009-2012 and after several aborted comeback attempts, he retired in 2013. 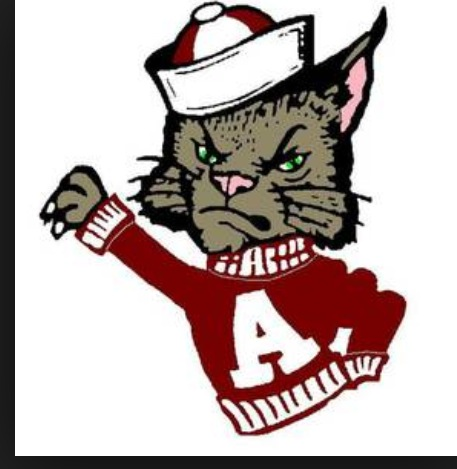 Tennis History: The Tomcats have never won either a singles championship, a doubles championship or a team championship in the 82 year history of KHSAA Tennis. In 2005, Kyle Virgin was runner-up in the state singles competition, but that is as close to a championship as Ashland Blazer has gotten.